Panasonic has unveiled a new app which gives the user instant access to detailed product information, to support quick and informed maintenance of its heating and cooling solutions. The datanavi app, powered by Panasonic’s innovative Light ID technology, delivers essential product information directly to the smart device of the product owner or maintenance professional, allowing them to quickly and easily complete commissioning and maintenance tasks. The datanavi app works by recognising a product’s unique Light ID code, which is transmitted by the LED light source in the product remote controller. App users receive the ID code by holding a smart phone up to the LED light source on the remote, which will then transmit invisible high-speed light flashes or Light ID codes. After receiving the ID, the app will connect to the Cloud to acquire the product’s associated information, instantly displaying it on the device’s screen. For this to work, a new remote controller (CZ-RTC5B) with light ID technology can be used with selected Panasonic heating and cooling products. Panasonic’s datanavi provides users with valuable insights from information stored in the cloud database – for example manuals, installation and maintenance details or energy consumption reports to highlight ways to save and increase efficiency. The app can also notify users when maintenance is required. When the remote controller shows an error code, the user can get a detailed description of the error by scanning with their smartphone. As a result, end users can access professional support quickly and connect to product information instantly for a secure, fast and intuitive service. The app is beneficial for maintenance professionals as it allows them to track product history, access specific manufacturer product information and servicing requirements. Installers that use datanavi can also access user manuals and technical data, anytime, anywhere, giving them the information required at their fingertips and saving valuable time. 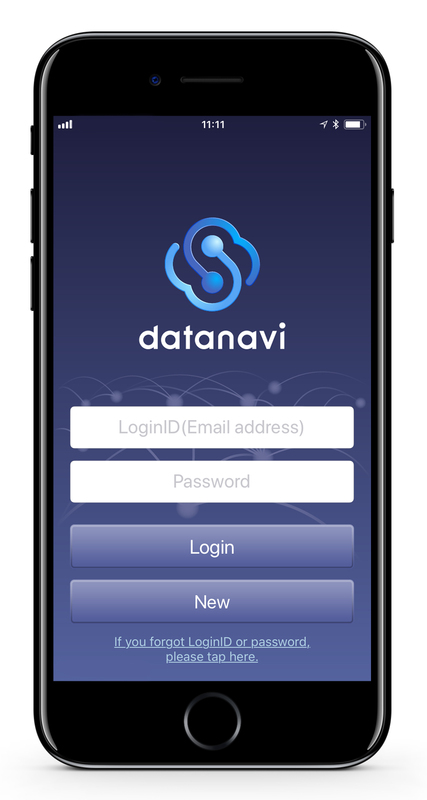 Available on both iOS and Android, the datanavi app is easy to use, just register, log in and follow the simple instructions to get started. The datanavi service is available in the UK in May 2018.